Last November, Democratic Rep. Ruben Kihuen was expected to cruise smoothly into a second term in the House. Medicare for All activist Amy Vilela was running a long shot bid to challenge him from the left. Republican Las Vegas City Councilman Stavros Anthony was running a cordial but unlikely race to flip a Democrat-leaning seat. 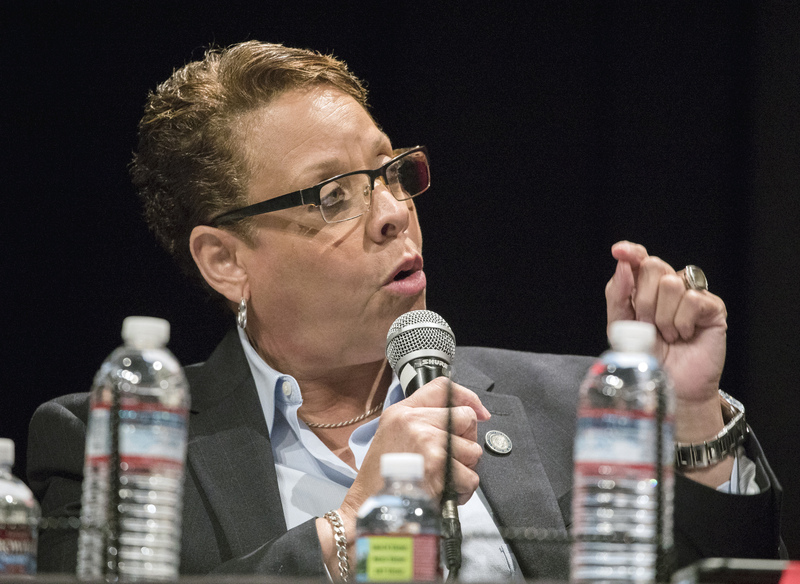 State Sen. Pat Spearman had recently backed off from trying for secretary of state. 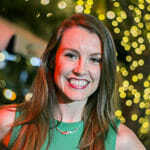 But everything started to turn in early December, when Buzzfeed News reported that a former Kihuen campaign staffer identified as Samantha had quit her job, citing unwanted touching and advances from her boss. She described instances when Kihuen suggested they get a hotel room together, touched her thighs and asked if she’d ever cheated on her boyfriend. 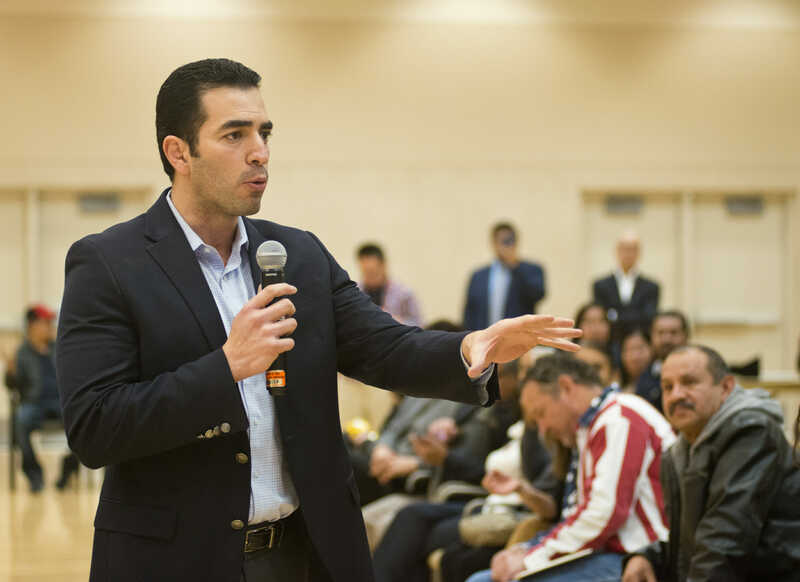 Although Kihuen said he didn’t recall the instances, it prompted calls for his resignation from top House Democrats including Nancy Pelosi, Ben Ray Lujan and Jacky Rosen. It also prompted other women to go public with their allegations. One lobbyist said Kihuen touched her thighs and buttocks without consent, invited her to sit on his lap during a committee hearing and texted her prolifically, including begging to know the color of her underwear when he was a Nevada state senator in 2015. Another young woman who worked for a Washington, D.C. firm that did business with Kihuen’s campaign said he was overly touchy with her and made comments that she interpreted as requests for sexual favors in the fall of 2017. As the story continued to dominate the headlines, Kihuen announced in mid-December that he wouldn’t seek re-election. He continues to deny the allegations and says he awaits an ethics investigation to clear his name, but the women coming forward have changed life’s course for him and a half-dozen other politicians. His decision not to run turned what was expected to be a snoozer of a primary into the most contested Democratic House race in the state — one that could mean the comeback of a promising former congressman deposed in a red wave upset or perhaps the ascent of an unapologetically progressive candidate aligned with Sen. Bernie Sanders. Created in 2011, Nevada’s 4th Congressional District is geographically diverse, and includes urban areas of Las Vegas and North Las Vegas, White Pine, Nye, Mineral, Esmeralda and Lincoln counties. It also includes southern Lyon County. Democrats account for 41 percent of registered voters compared with 32 percent for Republicans, but it’s considered swingier than that 9-point spread would suggest. Republican Cresent Hardy bested Rep. Steven Horsford by almost three points in 2014, but Kihuen won the district against Hardy by four points, and Hillary Clinton took it over President Donald Trump by five points. The district has never had the same representative for more than one term. First elected to the state Senate in 2004, Horsford rose through the ranks for a decade, distinguishing himself with a sharp intensity and clinching the distinction as Nevada’s first African-American state Senate majority leader. 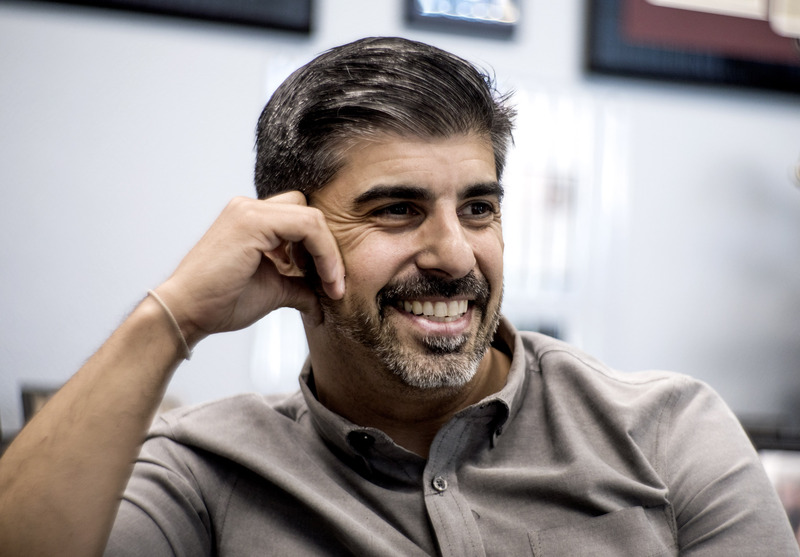 He won a race for Nevada’s newly created 4th District in 2012 after besting Republican businessman Danny Tarkanian, a frequent candidate who is now mounting a formidable Republican primary bid in the 3rd Congressional District. While he was in the minority party in the House, Horsford pushed for comprehensive immigration reform and extending jobless benefits, although his most notable accomplishment was perhaps his work in designating the Tule Springs Fossil Beds National Monument and legislation that allowed development of a copper mine near Yerington while also designating 48,000 acres as the Wovoka Wilderness Area. But then he lost the seat to Republican Cresent Hardy in the “red wave” of 2014, hurt by a late burst of attack ads, including one that touted Obama’s support for Horsford in rural counties where the former president was unpopular. Horsford noted it was a tough cycle for his party across the board, but vowed to do better this time. Horsford had receded into the private sector after his loss, living on the East Coast and running a government affairs and public relations firm while his wife pursued her career in academia. He said he had relocated to the D.C. area because he wanted to see his three school-aged children every weekday. 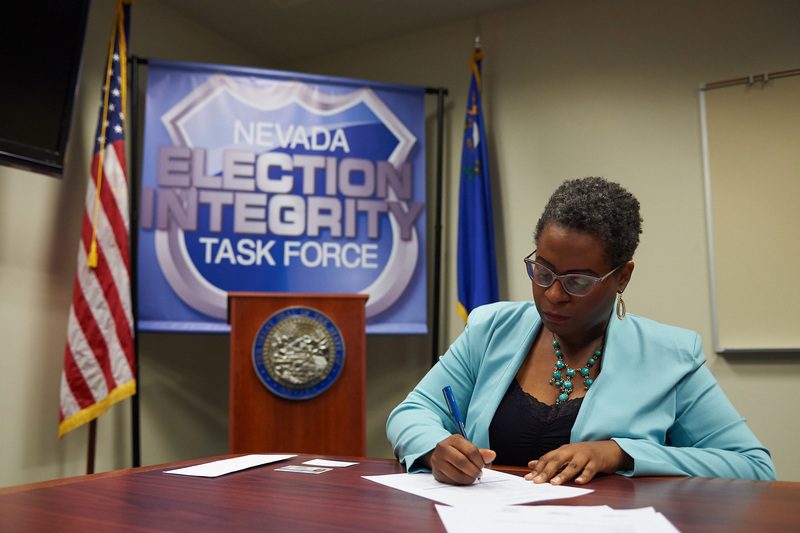 But the decision has become a point of criticism against the Nevada-raised Horsford by other candidates, who say they’ve been continuing the struggle in Nevada while he’s getting support from the Democratic establishment after several years of building a business out of state. With support from prominent Democrats including House Minority Leader Nancy Pelosi, the Democratic Congressional Campaign Committee and the Culinary Union, Horsford’s campaign spending in the seven weeks leading up to early voting was about five times that of any of his other opponents. His positions are more centrist and pragmatic than those of his foes — none of whom have held a congressional seat before. 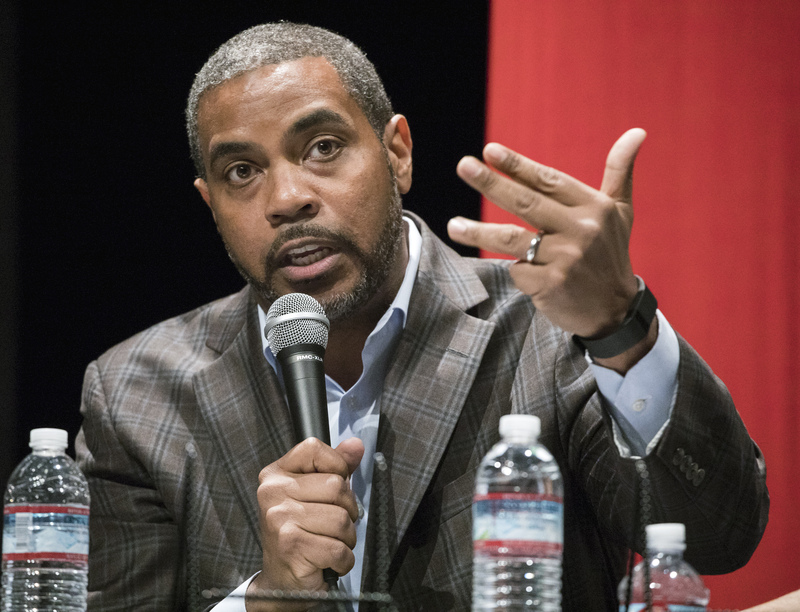 Asked during a recent candidate forum about faults he finds in his own party, Horsford said his party hasn’t taken on enough of the values mantle and also isn’t championing small businesses enough. “I think we have given, particularly under this administration, too much credit for the faith and values discussion, and we need to reclaim that as Democrats,” he said. “I also think we need to do more to reclaim small businesses and entrepreneurship because that really is the driving force of our economy,” he said. He says he supports universal health care but stops short of committing to specific Medicare for All legislation — a position that earned him jeers at a recent candidate forum populated in large part by supporters of Amy Vilela, who’s arguably the most progressive candidate in the race. His solution to spiraling health-care costs has been a three-point plan to cut prescription drug prices, which he describes as the primary driver of growth in health-care costs. The plan includes supporting efforts to get generics to the market faster, greater recourse for parties wronged by market manipulation or pharmaceuticals and a standing commission with authority to hold pharmaceutical companies accountable for those actions. Vilela has criticized the ideas on social media and in forums, pushing instead for something more sweeping. “It’s not enough to talk about affordability and access. My daughter who’s dead had access. And what’s affordable to you may not be affordable to the single mother down the road,” Vilela said at a recent candidate forum. She blames her 22-year-old daughter Shalynne’s death in 2015 on deficiencies in the health-care system. Horsford has been trying to stake out ground on the health-care issue, releasing digital ads during early voting that highlight his own health scare — a six-way, open-heart bypass surgery while he was in Congress in 2013 that he says has renewed his commitment to quality health care. He’s also taking personal steps for his own health — he told attendees at a youth-focused forum in May that he was a regular at Orangetheory Fitness, a studio chain that measures participants’ performance through heart rate monitors and encourages them to make a significant effort, or stay in the “orange zone.” He said doctors have given him a clean bill of health, but that the break from public office has done him well. Horsford is taking few chances in beating a field of four other viable candidates who each have their own following and have more of a chance of landing an upset in a low-turnout midterm primary. Vilela’s compelling personal story of rising from poverty to a comfortable job as a chief financial officer, and then losing her daughter Shalynne, drove her to health-care activism before she declared her candidacy last summer against Kihuen. “I had the foresight to know that we had a flawed representative,” she said. But Kihuen’s departure from the race has expanded possibilities for her, and she’s harnessed the progressive fervor of Sen. Bernie Sanders’ supporters. She’s laid out an unapologetically liberal platform that includes abolishing ICE, establishing a federal jobs guarantee and implementing free college. It’s earned her the endorsement of groups including Our Revolution, National Nurses United and Justice Democrats. Vilela reports raising $39,286 and spending $52,310 in the last period before early voting began, ending with $12,607 cash on hand. The campaign also owes $32,801 in loans. State Sen. Pat Spearman also has developed a following, especially after her crusade to pass a resolution in the Legislature to ratify the Equal Rights Amendment. It’s earned her an endorsement from the National Organization for Women. In the Legislature, Spearman has been a proponent of clean energy and the expansion of voting rights, and she chaired the Senate Health and Human Services Committee. She also spent a long career in the Army, is a minister and said the discrimination she’s faced has made her a fighter. “If it is about equality I’m going to fight for it. Am I passionate about that? Yes, I am. You know why I am passionate about that? I am an African-American woman that also happens to be a member of the LGBTQ community. You can’t get any more marginalized than that,” she said in an interview. Spearman reported she received $36,041 in the pre-primary period, spent $42,268 and ended with $21,309 cash on hand. She also has about $16,000 in debt owed to an accounting firm and a campaign compliance firm. John Anzalone, a Sierra Vista High School principal who said he’s been motivated to run for Congress especially after the school shooting in Parkland, Florida, said he hopes to bring a principal’s consensus-building skills to Congress. Anzalone has been an active voice on school shooting prevention, releasing a multi-point plan on how to make schools safer. His agenda calls for federal title funding to help harden schools’ infrastructure, have one to two social workers at all middle and high schools, place at least one armed officer at all schools and mandate active shooter training at the beginning of each school year. Anzalone reported raising $33,245 last period and spending $55,596, leaving him with $53,082 cash on hand. The fifth candidate is Allison Stephens, who represents Nevada as a Democratic National Committeewoman. Stephens is a regent with the Nevada System of Higher Education who holds a health-care job while studying for her Ph.D. and raising two children as a single mom. She’s focused her campaign on kitchen-table policy issues, and highlighting her involvement in a variety of Southern Nevada nonprofits. “When I listen to kind of what I’ve been calling Washington talking points, things that are supposed to be the issues, they don’t sound at all like the issues that are the focus of my life or my neighbors’ lives,” she said. Stephens raised $15,597 in the pre-primary period and spent $12,320, leaving her with $21,800 cash on hand as she enters the final stretch of the campaign. The primary has been mostly free from the sharp attacks that have characterized other races in the state, most notably the 3rd Congressional District Republican primary. But through forums and debates, the policy differences between the five contenders have come to light. Stephens was the only candidate who said she’d support impeachment proceedings against Trump immediately. 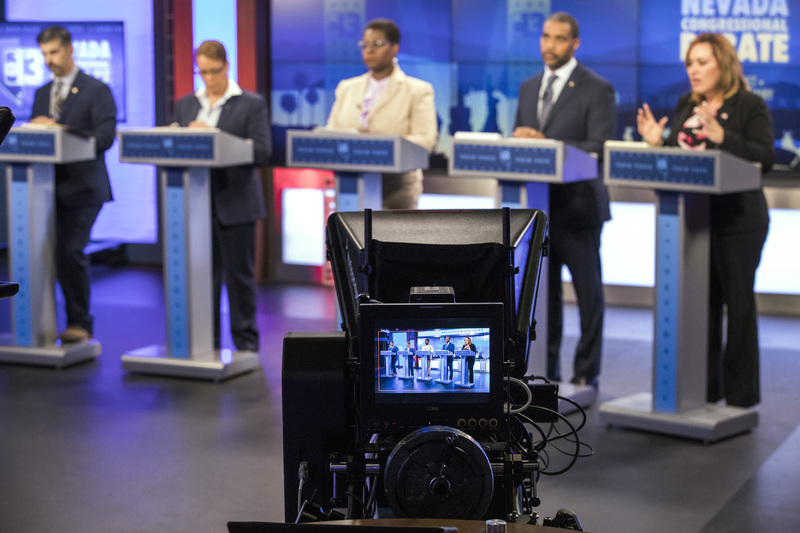 In a debate hosted by KTNV and The Nevada Independent, the others said in various ways that an investigation needs to play out further before they could support such a step. On gun control, all five said they’d support a ban on assault weapons. But as for confiscating such weapons once people already own them? They generally shied away from any direct endorsement of that plan. On whether Trump’s decision to move the U.S. embassy in Israel from Tel Aviv to Jerusalem was a good one, four of the candidates were directly critical. Horsford didn’t have an outright condemnation of the decision. On one of the marquee issues of the race — whether Congress should pass a bill implementing Medicare for All — candidates varied. 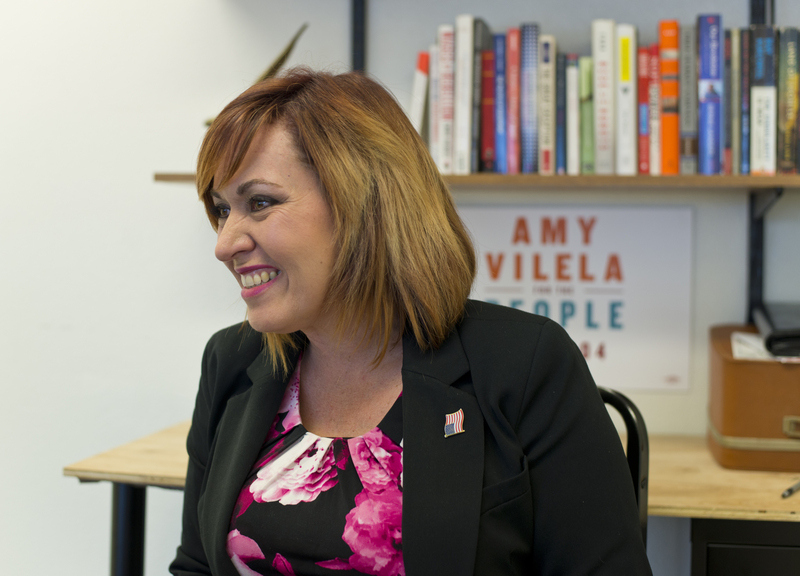 Vilela has made the bill the centerpiece of her campaign and has challenged Democrats to stop accepting money from hospitals, insurance companies and pharmaceutical companies, even when donations are packaged as contributions from leadership PACs. The others, including Horsford, were more cautious. He’s declined to subscribe to the Medicare for All bill, but said he supports the concept of universal care. “We have to do it in a way that protects and insures all the people, people who are veterans, people who are in private insurance, and it can be done,” he said. “I’ve talked with some people about the current bill and they can’t convince me that it excludes veterans, it excludes people in the military,” she said, adding that she wants to see a carve-out for the military. Stephens, who is pursuing a doctorate in biomedical informatics, said the problem is bigger than insurance. The winner of the primary is expected to face off with former Rep. Cresent Hardy, who served one term before losing to Kihuen in 2016. A former construction company owner, the plainspoken Hardy has kept a low profile since jumping into the race after Anthony bowed out, citing health problems. He’s garnered little attention outside the case of Benjamin Sparks, who worked for Hardy’s campaign consultancy Red Rock Strategies before he was fired from the job after being accused of domestic abuse. Meanwhile, Hardy’s been raising money, pulling in $126,983 in the pre-primary period and spending $40,126. He ended the period with $276,801 cash on hand. His notable donors included casino owner Sheldon Adelson and his wife Miriam, Lt. Gov. Mark Hutchison and the National Rifle Association Political Victory Fund PAC. 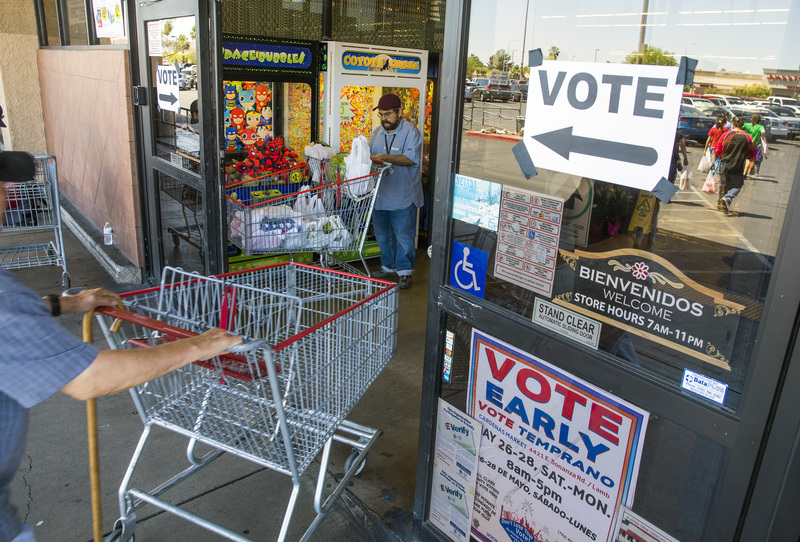 While the general election will be a struggle — especially if Horsford wins and musters all the manpower of the Culinary Union to his advantage — Tuesday’s primary is expected to be little more than a blip on Hardy’s radar. His primary opponent with the most viability appears to be ex-Clark County GOP Chairman David Gibbs, who reported raising only $2,945 leading up to early voting. The section about Cresent Hardy was updated at 2:30 p.m. on June 11, 2018 to clarify Benjamin Sparks’ employment arrangement with consulting firm.